Between 1st - 15th March a Robertson resident and acknowledged long-distance marathon runner, Antonette Greenaway, will be taking on her most gruelling marathon and challenge yet - all in aid of Breede River Hospice - in recognition of the incredible, soul-touching work they do throughout the Langeberg region. What is likely to be the first feat of its kind to be taken on by a single South African woman, Ms. Greenaway will start off in Port Elizabeth and head home to Robertson via the famous Route 62. Dubbed the �Run Route 62 - Have a Heart for Hospice� Marathon, this is one huge undertaking that is worth every bit of attention it can draw. Breede River Hospice in Robertson is a community �beacon� of hope and support that provides their services entirely for free. Antonette�s immense effort is entirely dedicated towards raising funds for Breede River Hospice which has, over the last few years, suffered crippling cut-backs in international and local funding. In their effort to save the organisation from collapse, they continually struggle to find new funding to support them - in the face of increasing patient numbers. When asked for comment, Sr. Jane Phillips, BRH�s general manager said, �We believe that all patients have the right to die pain free, be cared for with dignity in the comfort of their home and with the family being well supported. The passing of a loved one is a process that affects the whole family and the way a loved one lives the last weeks of his or her life influences the ability of the family to grieve, remember and moved forward at their own pace. 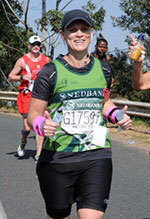 Antonette Greenaway is a long-standing member of the Nedbank Runner�s Club and represents the Boland in national long-distance marathons country wide. She has participated in several respected endurance races: The Comrades, the Two-Oceans and the Safari Half-Marathon just to mention a few. 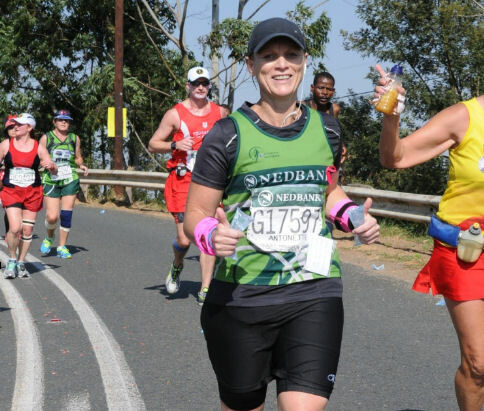 This �Run Route 62� Marathon will the longest distance she has ever faced. Ms. Greenaway promises day-by-day accounts of her enduring experiences to be published on her blog �Run Route 62� which will posted to Breede River Hospice�s Facebook page. A Facebook events page has also been set-up for all followers to �attend� and keep pace with her along the way. To follow her story, simply �Like� Breede River Hospice�s Facebook page to �tune in�. A route map together with details of her expected arrival/departure schedule will be published online on her blog for anyone to keep pace with her. Since she announced her intention only recently, several supporting teams and associations have already committed to her cause. Harley Davidson in Cape Town and the Breede River HOG Chapter - both known for their charity motorcycle drives have promised their support - with a convoy of motorbikes keeping the road ahead clear for her - from Montagu to Robertson.